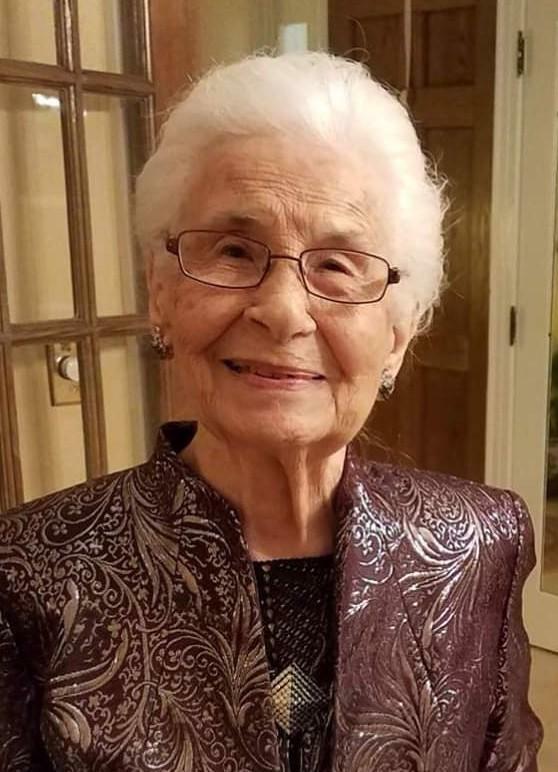 Marie R. (nee Hillgrube) Ryan, 95, of Columbus, OH, former longtime resident of Drexel Hill,died April 4, 2019 surrounded by family in Drexel Hill one day short of her 96th birthday. She was born and raised in South Philadelphia and attended South Philadelphia High School. She was a homemaker and member of St. Andrew the Apostle Parish. Marie enjoyed furniture refinishing and was a DIY expert before it became trendy. With a keen eye and sense of style, she enthusiastically undertook home renovations and interior home painting. In her leisure time Marie enjoyed reading. Beloved wife of the late Joseph W., Survivors: include her children, Joseph (Mary Pat) W. Ryan, Jr., Nancee (Mark) Staib and Marc (Jennifer) Ryan. She is also survived by grandchildren Caitlin (Allison Toney) Ryan, Ryan Staib, Joby (Allison) Ryan, Tiffin (Misha Broughton) Staib Lindsay Marie Ryan, Chelsea Ryan and 2 greatgrandchildren Violet Staib and Holt Marie Ryan.